LAHORE, Aug 08 (APP)- Secretary, Sports Punjab Nayyar Iqbal said on Monday that Sports Board Punjab (SBP) has prepared three floats on the occasion of Independence Day of Pakistan to pay tributes to national heroes and to motivate the youth towards healthy activities. 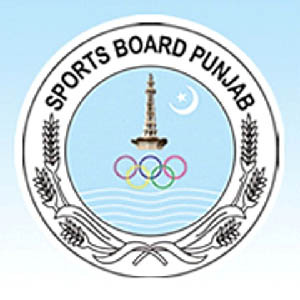 “Sports Board Punjab’s floats will help promote sports across the province,” he said here on Monday at the departure of these floats to the different cities of the Province. The drum beaters and beautiful sky lanterns also attracted a large number of sports lovers on the occasion. Additional Secretary Sports Punjab Zahid Hussain, Director Admin Muhammad Anees Sheikh, Deputy Director Admin Tariq Wattoo, Deputy Director Mushtaq Tiwana, Assistant Directors Rana Nadeem Anjum, Waqas Akbar and other official were also present. among youth of the province. “Trophies and gold medals won by national star players in various games will be put on show to induce the youth of the small cities and backward areas. The giant portraits and flex banners of several sports figures and record holders are also exhibited on the floats besides national patriotic songs,” he stated. Secretary Sports Punjab said these floats will visit Punjab’s major cities including Lahore, Gujranwala, Faisalabad, Sargodha, Multan, Rawalpindi, Dera Ghazi Khan and Bahawalpur etc. till August 14. “A giant float has been made for Lahore alone,” he informed. Sports Board Punjab has also completed arrangements to celebrate Jashan-e-Azadi on August 14 in a befitting manner. A grand Independence Day Sports Gala has already begun on August 3, he elaborated. He said that freedom was a great blessing and living nations always celebrate their national days with full enthusiasm.